In Antalya where 300 days of the year are sunny, blue and green are blended in perfect harmony with nature and the city has the unique historical treasures with traces of the past 1000 years. Here, nature offers numerous alternatives you could not even imagine. For example, during some periods of the year, you can go up to Saklikent in less than one hour before noon and go skiing, and in the afternoon, you can leave yourself to the warm waters of the Mediterranean. You can sunbath on the very clean and supremely vast beaches, and enjoy the aroma of orange gardens, pine trees and the shadow of olive trees. If you swelter in the summers, you can go up to the high and cool Toros Uplands. You can enjoy a wide range of sporting activities from mountaineering and skiing sports to rafting, surfing, swimming, golf, horse riding. In Antalya, the heart of Turkish tourism with its exceptionally beautiful seasons, are available limitless holiday opportunities for every kind of taste and budget. The city, located on the furthest point of the crescent-shaped bay of the Gulf of Antalya on the Ankara plains, named after its founder, Attalos II, king of Pergamom (B.C. 159-138). The name of the city, which was initially Attalia, first became Adayla and then Antalya after Turks took control of the city. 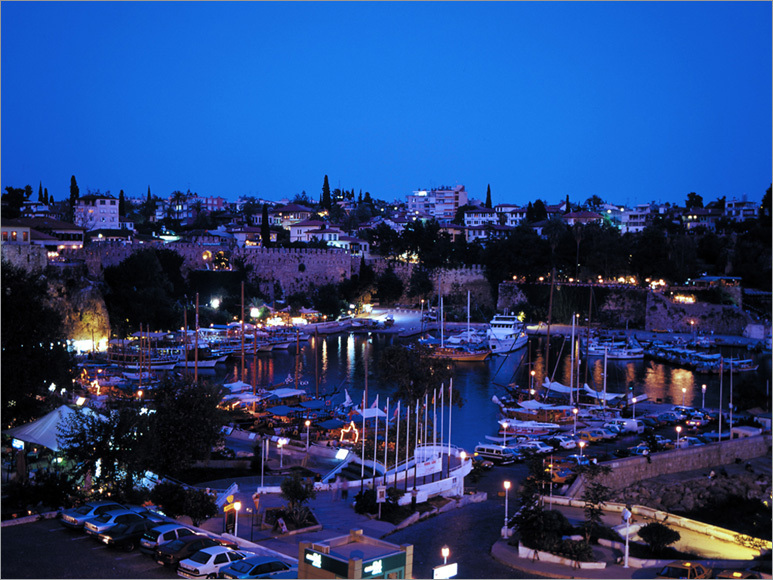 Antalya is a highly ancient settlement. The excavations made in Karain Cavern on the side of the Katran Mountain prove that the rich history of the city dates back to prehistoric periods. Today, Antalya is one of the most important centers of the archaic city Pamphylia as is known in the Antiquity, such as Perge, Sillyon, Aspendos and Side. 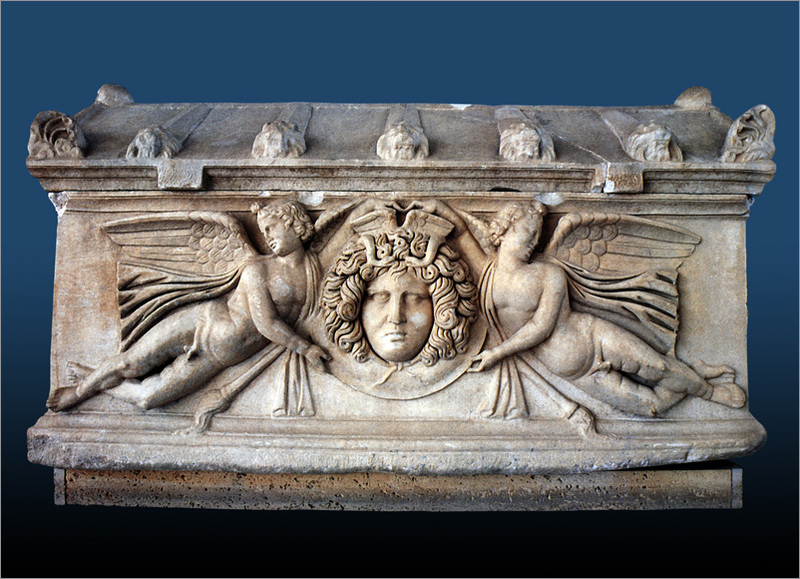 The archaic city stretching along the Gulf of Antalya entered the sovereignty of Lydian kingdom between 560-546 B.C. and the sovereignty of Persians in 546 B.C. 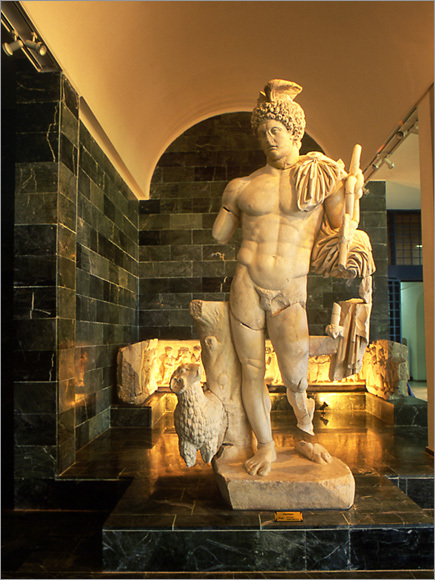 This city experienced the Hellenistic period with the conquest of the Alexander the Great in 336 B.C. and then the city and its surroundings joined into the Roman Empire in B.C. 336. The city highly prospering in the 3th century A.D. was impressed with Christianity from the 4th century A.D. on. The city entering into the sovereignty of Turks when taken by Suleiman the Shah in 1085 changed hands between the Byzantian Empire and the Seljuks constantly until it was captured by Giyaseddin Keyhusrev again in 1207. It was acceded into Tekelioglu Sultanate in Sultanates’ Period and taken under dominance of the Ottoman Empire during the reign of Yildirim Bayezid in 1391. 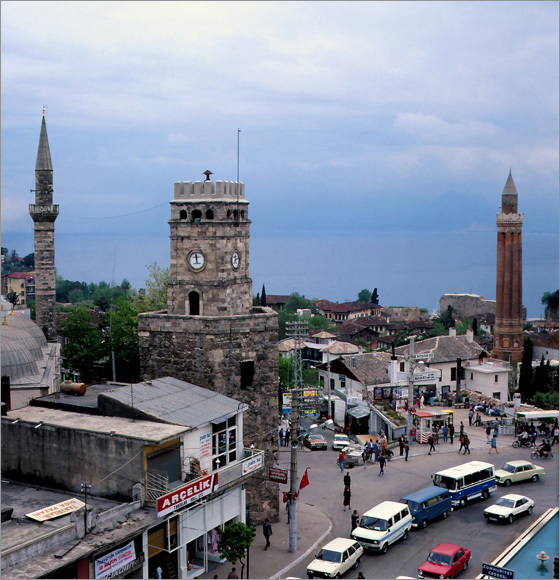 Today’s city centre of Antalya is founded on the archaic city. The Hadrianus Gate, dating back to the 2nd century A.D., is the most important historical ruins from that period. The gate is supported with three-eyed triumphal arch and towers on the left and the right said to have been made in honor of the visit of Hadrianus the Emperor to the city. Old City or Kaleici as is known today is surrounded by walls restored in different periods. Hidirlik Tower, south of the walls, is a double-storied building along the seaside, and most probably formerly used as a lighthouse. 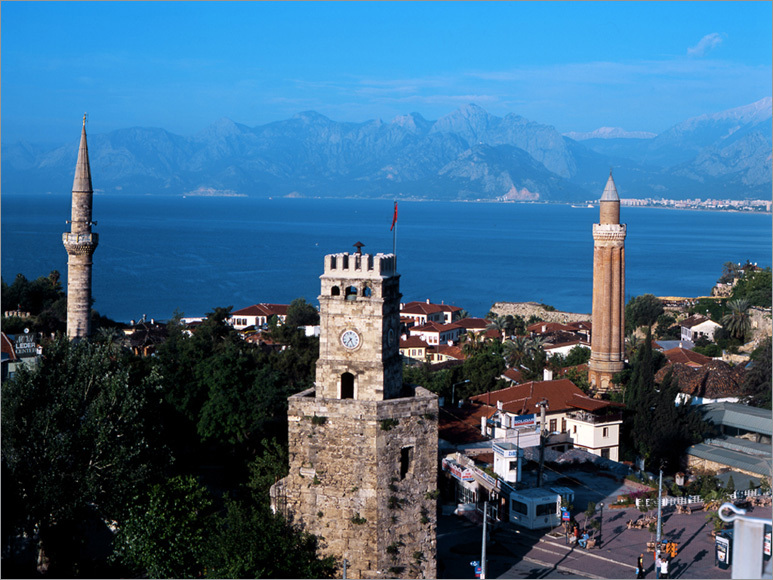 Kaleici, announced to be a protected area, the most specialty and the most famous venue in Antalya, with its wooden houses decorating the narrow streets and the Yivli Minaret, which is the symbol of Antalya. 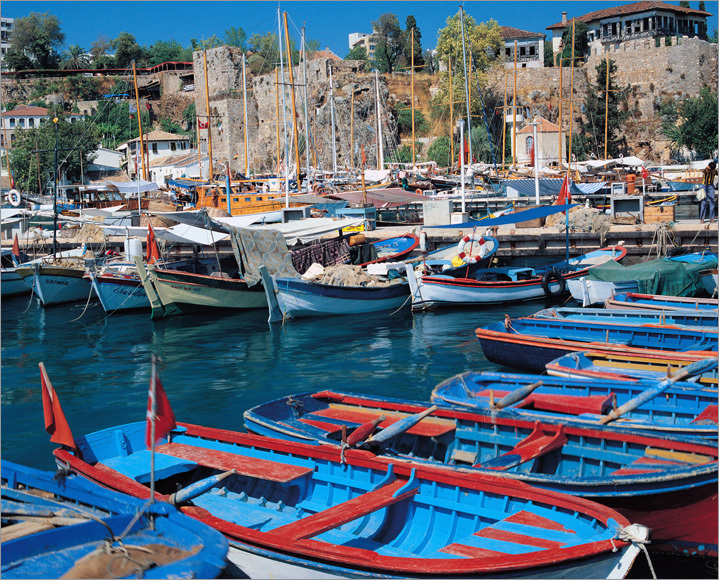 Most of the houses in Antalya have been restored, which contributes to Turkish tourism. One of the houses in Kaleici have been bought by Suna and İnan Kirac and designed as the Etnographical Museum. Representations reflecting Turkish Folk Culture such as Coffee Treat, Bridegroom Shave, Henna Night are made in the rooms. In the garden of Suna-Inan Kirac Museum, there is also one Orthodox Church known to have been built in honor of Agios Yorgios. 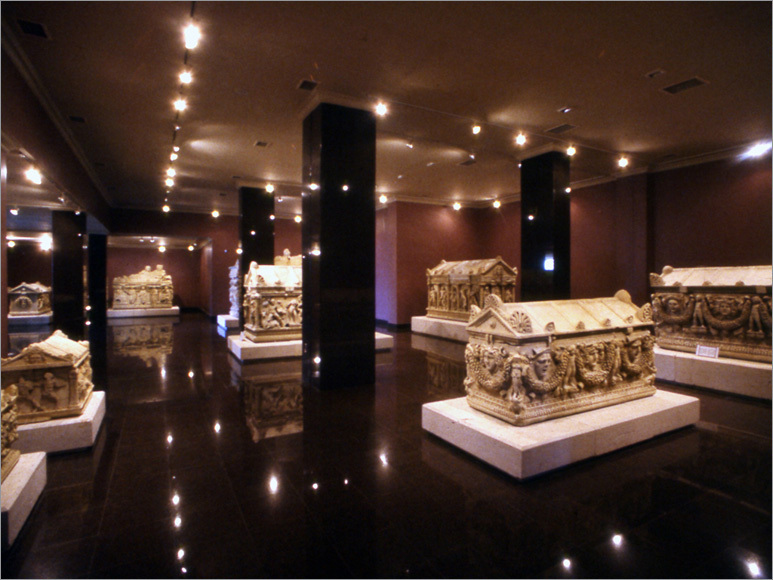 In the church designed as a gallery after restoration, works of art and culture belonging to Suna-Inan Kirac collection are displayed and concerts and cultural activities are organized. 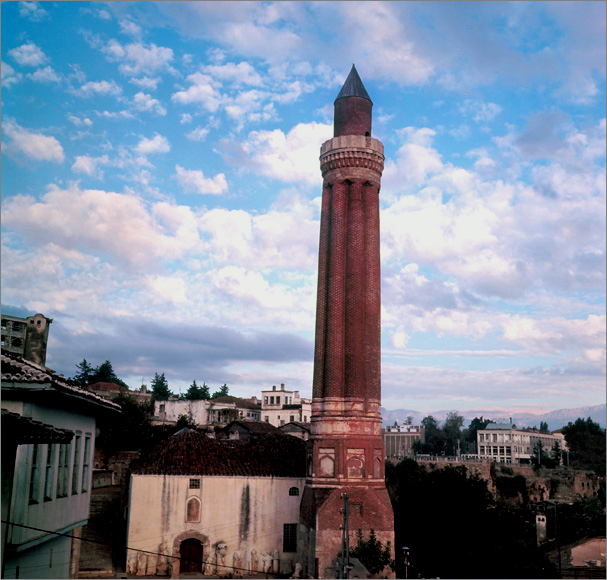 The Yivli Minaret was built by Alaaddin Keykubat I, the ruler of the Anatolian Seljuks, in the 13th century. The Yivli Minaret Mosque west of the minaret is among the oldest examples for multi-domed mosques in the Anatolia. Another mosque in Kaleici is Kesik Minaret Mosque, arousing interest with its minaret which took its today shape as a result of lightning at the end of the 19th century. The components of the building show that the history of the mosque dates back to the 2nd century A.D. A church was built on a basilica plan in the 5th century A.D. and this church turned into a mosque during the reign of Korkut, the son of Sultan Bayezid II. The most interesting buildings in Antalya are the ones belonging to the Anatolian Seljuks Empire. Karatay Madrasah (1250) with its shrine of magnificent stone work is among these. Also, there are among the important works from Seljuks such as Evdir Han (1210-1219), 1 km east of Antalya-Korkuteli highway, Kirkgoz Han and the tombs of Ahi Yusuf and Seyh Secaettin, still in perfect conditon today. The Bali Bey Mosque (the 15th century), the Mehmed Bey Mosque and its Complex built by Tekeli Mehmet Bey, the Murat Pasha Mosque built by Kuyucu Murat Pasha in the same century, Seyh Sinan Pasha Mosque and Iskele Mosque (the 19th century) built by Seyh Sinan in the 17th century are among the notable Ottoman mosques in Antalya’s city centre. 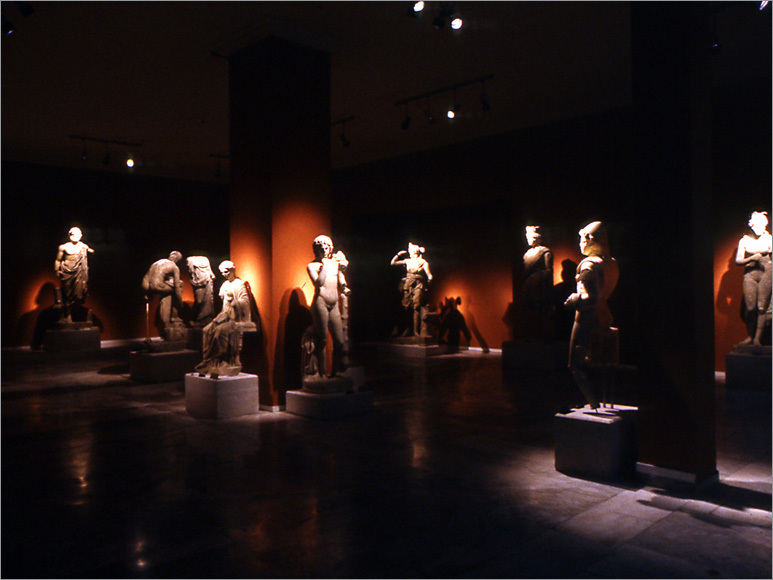 Antalya Archaeology Museum, shedding light on the history of many antique settlements around the city, has a rich collection of the excavated works on display. 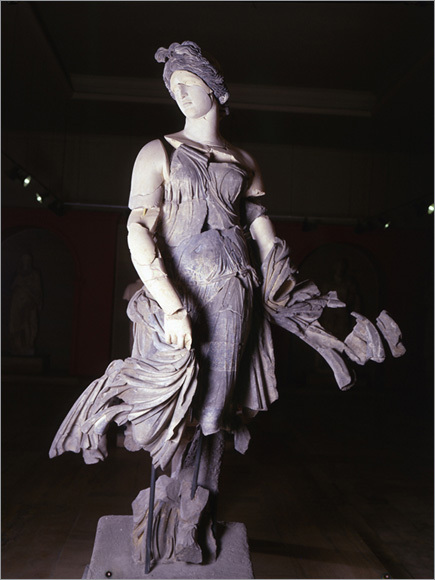 The works are displayed in a chronological order starting with the prehistoric periods till the Ottoman Period. The museum are closed on Mondays. In the Ataturk Museum, the belongings of the Grand Leader Ataturk, the founder of the Turkish Republic. The best spot to have a rest in the centre of Antalya and to enjoy the view of the Gulf and Beydaglari is the Karaalioglu Park sheltering many kinds of plants. Hasan Subasi Culture Park, of a quality of a big citypark, meets the needs of Antalya such as culture, gallery, recreation and rest. 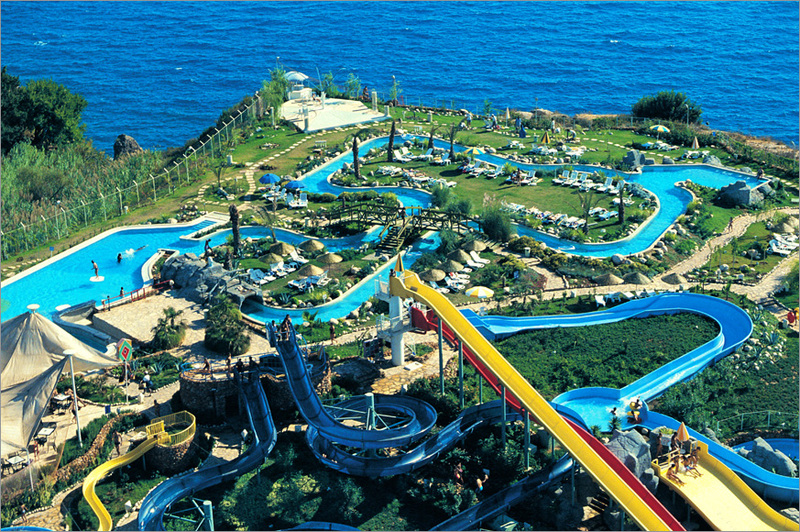 Antalya Aqualand is the biggest waterpark in the region. Konyaalti and Lara Beaches on the Kemer highway are ideal places close to the city to swim. The most important recreation spots in Antalya are Duden Falls, 12 km away from the city centre, and Kursunlu Falls, 24 km away from the city. 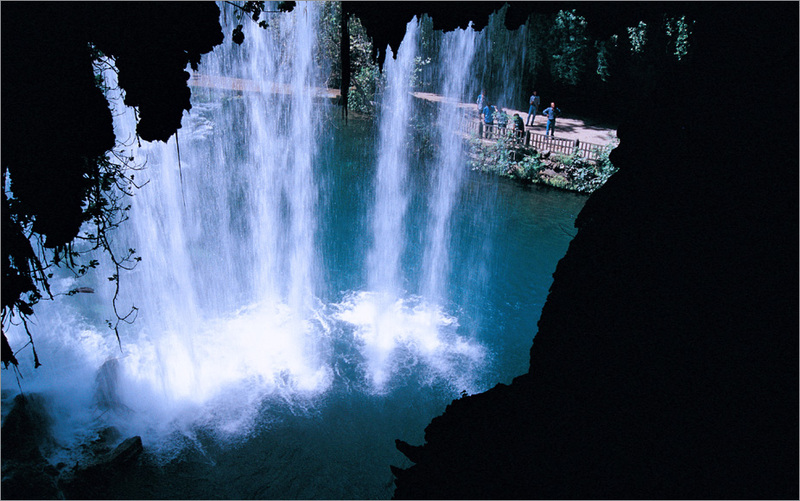 Both of the falls and their surroundings attract tourists’ attention with their natural beauties. 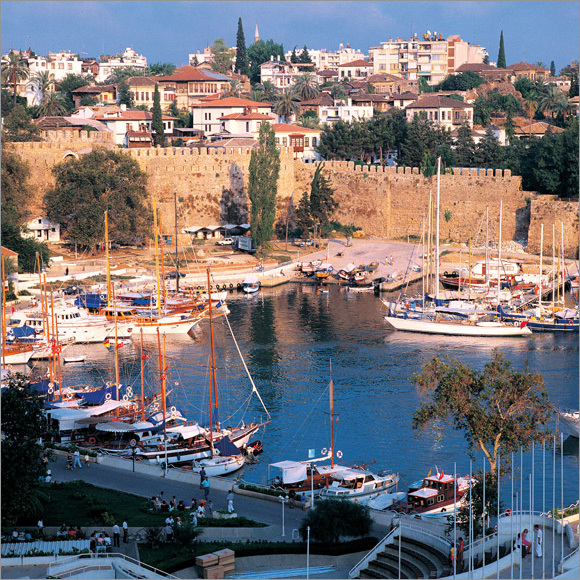 In every fall, the city hosts Antalya Golden Orange Film Festival (1-5 October). Aspendos International Opera and Ballet Festival in June-July and Aspendos Theatre Festival in May-June organized in the historic Aspendos Theatre are the opportunities for enthusiasts not to miss. If you want to watch a traditional Turkish sports game and see the local activities closely, you can watch Golden Cherry Festival and Elmali Green Plateau Wrestlings (4-5-6 September) and participate in the Plateau Festivities done in Sobuce and Akpinar. 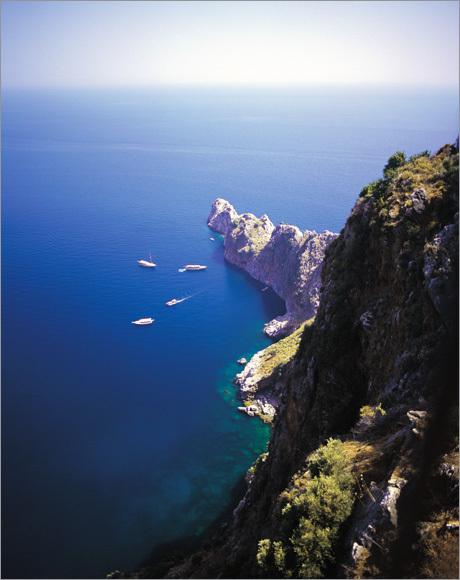 As a city awarded with ‘Yacht Tourism Award’, Antalya attracts tourists’ attention more and more every year. There are totally marinas in Antalya. Among these are Kaleici Marina in the city centre of Antalya, Park Marina in Kemer, Setur Marina in Finike, Antalya Setur Marina in the big port. 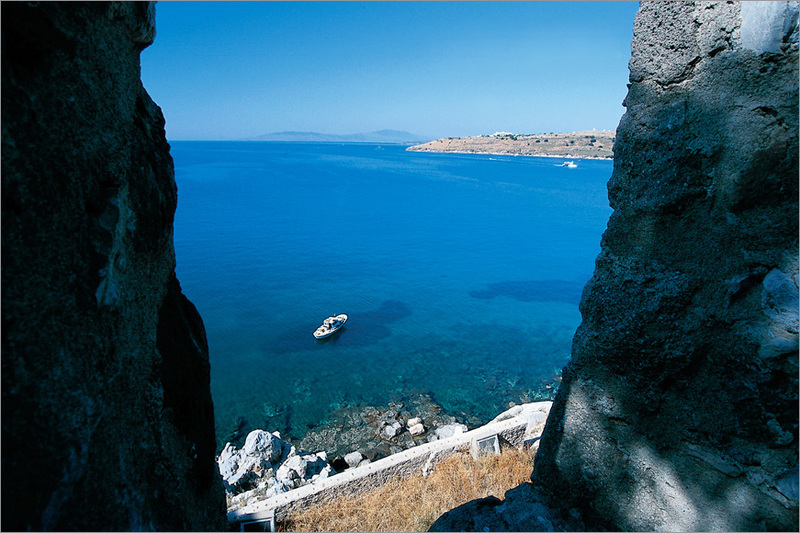 Also, there are also places for yacht anchorage in Kas and Kalkan. In 1999, three of these marinas (Setur Finike Marina, Kemer Antalya Marina, Setur Antalya Marina) were awarded with ‘Blue Flag Prize’. There are the facilities of the Turkish jewellery industry on the way to Aspendos. Also, Gold and Jewellery Fair is annually organized in Antalya. 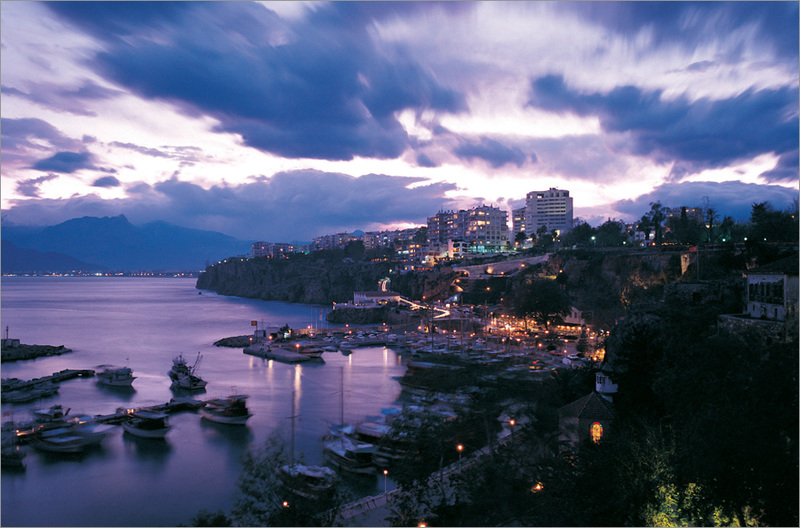 The five-star hotels in Antalya also host congress tourism as well as their ordinary functions. Culture-Fair and Congress Center made in the form of a glass pyramid is in the Hasan Subasi Culture Park. The most well-known local dish of Antalya is kolle made by boiling different leguminous seeds. Other than these, tandir kebap and sac kavurma are well-known. As desserts, especially the ones made of bitter orange and bergamut are the popular ones. The touristic shopping stores for souvenirs especially in Kaleici offer numerous alternatives. Akseki wooden carvings and underfloor carpets are souvenirs special to Antalya.